Hey, what's going on, guys? Adam here with americanmuscle.com. Today, I'm bringing you a detailed review of the Raptor Series 5-inch OE Style Polished Stainless Steel Oval Step Bar, fitting all 2015 and newer F-150s. 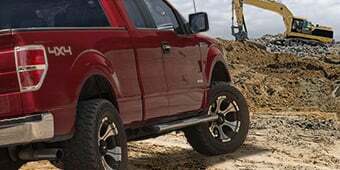 If you're the owner of a 2015 or newer F-150 and you're looking for a way to spice up the sides of your F-150 by picking up a brand new set of step bars, or if you wanna add some to your F-150 because you don't already have them, you might wanna check out the 5-Inch Oval Step Bars available from Raptor Series. 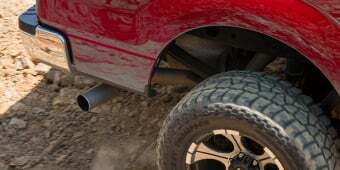 Now, this step bar here, when added to your basic F-150, would definitely give it a more aggressive appearance similar to that of the powerhouse Raptors. 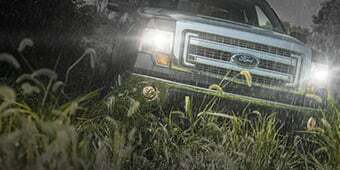 Now, when adding this, you are looking at a factory OE style appearance, like the Raptor one I just mentioned, while adding a beefier appearance to the standard F-150 packages. So, this product from Raptor Series offers a 5-inch stainless steel tubing all the way throughout, giving you superior durability and a long-lasting lifetime. Obviously, like I said with that oval design throughout the entire tubing and a curved end, giving you that OE style you'd expect from Raptor Series. Now, in my personal opinion, this product does offer a lot of bang for your buck. You can see there's high-quality materials all throughout with this stainless steel, and even the two step pads you see here are made of an ABS durable plastic, guaranteed for year-round slip resistance, with the raised grooves here and the Raptor Series logo actually laser cut into the materials. Now, obviously, with this product, it is an aide to help you get in and out of your truck with the 5-inch-wide, slip-resistant pads also added that I just mentioned. But in addition to that, this is definitely in a bold, aggressive exterior styling part as well. Maybe you're not so interested in hopping in and out of your truck. That is definitely useful for the lifted truck guys. Maybe your truck's not lifted and you're just looking for that aggressive exterior styling, this would definitely be one way to go. 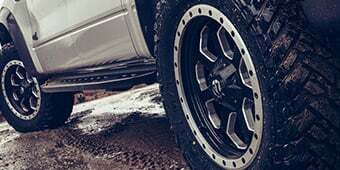 Now, even though these are a stainless steel quality material and they are extremely durable and long-lasting, I do wanna point out that I would not necessarily rely on these to be complete side armor if you're going off-roading. Yes, they will protect your sides from brush and door dings in the parking lot, but I would not guarantee resistance against any rocks or big hazards that you might run into in your off-roading. Just keep that in mind. These are good for small things like the door dings in the parking lot, but all over, I would not necessarily rely on these as full-on armor. Now, to further elaborate on the bang for your buck I mentioned earlier, expect to be spending just south of $300, which, in all honesty, definitely a reasonable price for the high-quality materials you're getting. Stainless steel oval tubing, your slip-resistant pads, your curved ends, giving you the OE style for the Raptor Series product. And, all in all, this is definitely a reasonable big bang for your buck with the quality products. It falls right in the middle of the pack. Some of the other options range from $100 to about $400, so you're getting a lot for this product. So, to jump into the installation, this will be an extremely straightforward install. It does come with some installation instructions, and I will tell you upfront, will not require any drilling, so you don't have to worry about any of that. Will be a direct bolt-on here from Raptor Series, something anybody can do with a little bit of time in the driveway at home and some few basic hand tools, including a ratchet and socket set, maybe some hex bits, as well as a torque wrench. So, be kicking things off by installing your brackets onto your existing mounting studs located on interior wall of your rocker panel. It may be a good idea to use some plastic studs that are included in the kit as well, just to prevent some corrosion by the aluminum to steel contact. So, be installing each bracket onto the mounting studs on the rocker panel using three M8 flat washers, lock washers, and the hex head nuts. So, next you'll be installing your step bar itself and the rubber gaskets onto the mounting bracket you just installed. 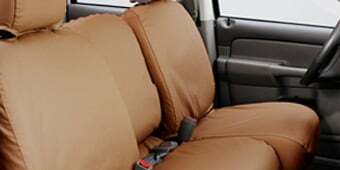 Be mindful that they are marked for the driver and passenger side, so be sure to put them in their respectful places. Once you have one step bar in place and you're installing the hardware included in the kit, you wanna tighten everything down ever so slightly. Repeat the process for the opposite side. 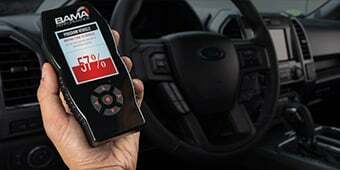 And once everything is level, you can torque everything down to spec at 15 to 20 foot-pounds. Now, when everything is said and done, expect to be spending about an hour or two on the installation. Nothing too crazy, something anybody can do in the driveway at home, which is why this one gets a one out of three wrenches on the difficulty meter. 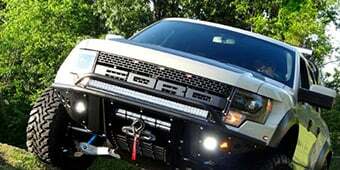 So, just to quickly wrap things up, guys, if you're the owner of a 2015 or newer F-150 and you're looking for a way to help you get in and out of your truck, even if it's lifted or not, or if you're looking for a way to beef up the side profile of your truck, you might wanna check out the Raptor Series 5-Inch OE Style Polished Stainless Steel Oval Side Bars, available right here at americanmuscle.com. Bold Style. Get the clean look you're seeking with the Raptor Series 5 in. OE Style Curved Oval Side Step Bars. Bold and beefy, these Side Steps are designed to handle up to 500 lbs. for full confidence when loading or unloading your cab. 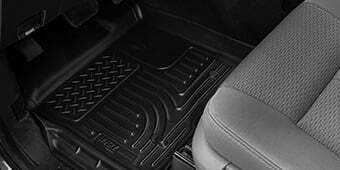 They're perfect for helping you or your passengers when climbing in or out of your truck thanks to a 5 inch wide step pad. Each bar is polished to a mirror bright finish and features OE styled bends to give your truck practical function and style. Quality Construction. Designed for durability, these Side Steps are crafted from quality 304 stainless steel. They feature fully welded high polished end caps for a clean factory-like look. Each Side Bar is polished to a mirror bright finish, ensuring impressive style and corrosion resistance. Easy Installation. 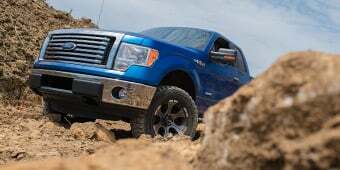 These Side Steps mount directly to your F-150's factory locations and won't require drilling or modification. 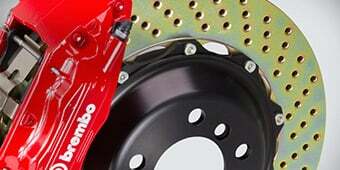 All the necessary mounting brackets and hardware is included to ensure a quick and painless installation. Lifetime Warranty. These Polished Stainless Steel Side Steps are backed by a Lifetime Limited Warranty. Some exclusions may apply, please see manufacturer's warranty for details. Application. The Raptor Series 5 in. OE Style Curved Oval Side Step Bars are designed to fit all 2015 to 2019 Ford F-150s, including Regular Cab, SuperCab and SuperCrew models. They look great and we're easy to install. They make my truck look better. They are great for getting in and out of the truck. The price was also the best I could find.